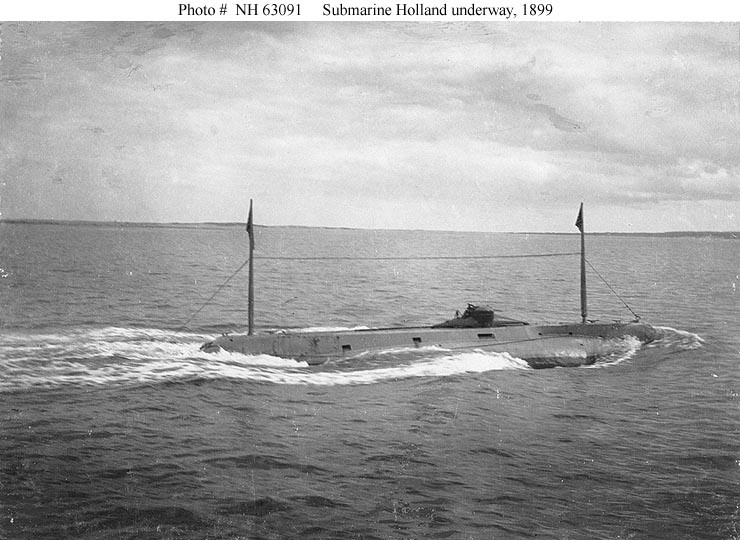 This page features views of the submarine Holland underway, prior to her purchase by the Navy. 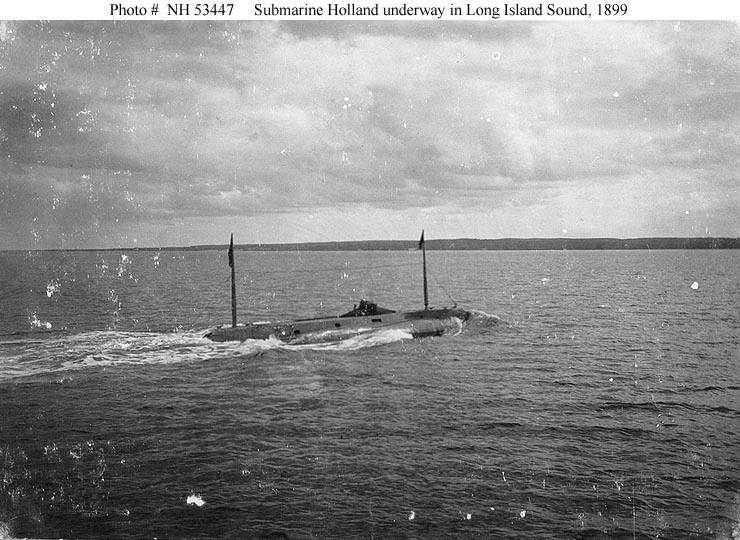 Underway in Long Island Sound, during trials in 1899. 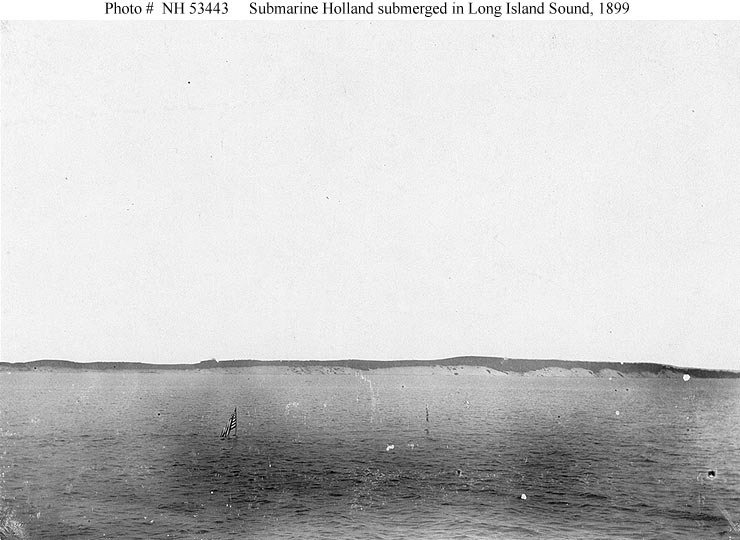 Underway in Long Island Sound, 1899. 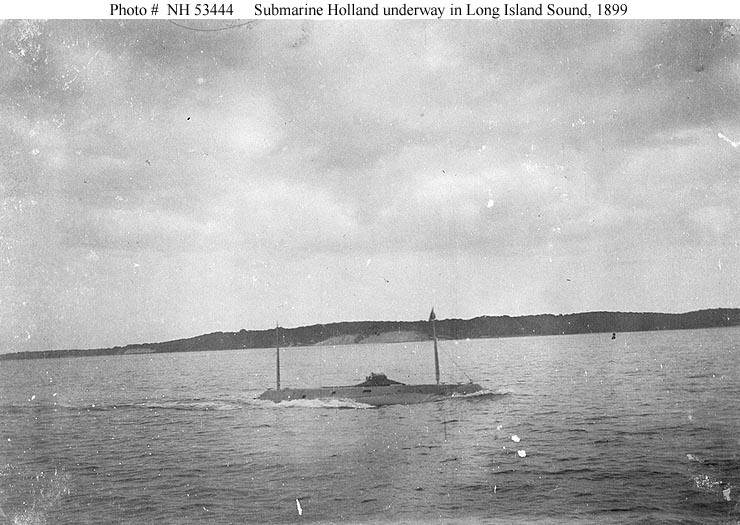 Underway in Long Island Sound, while undergoing trials in 1899. 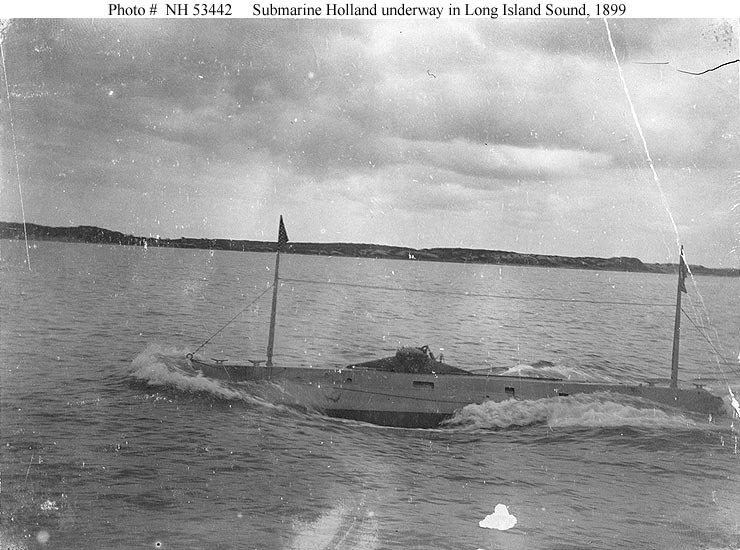 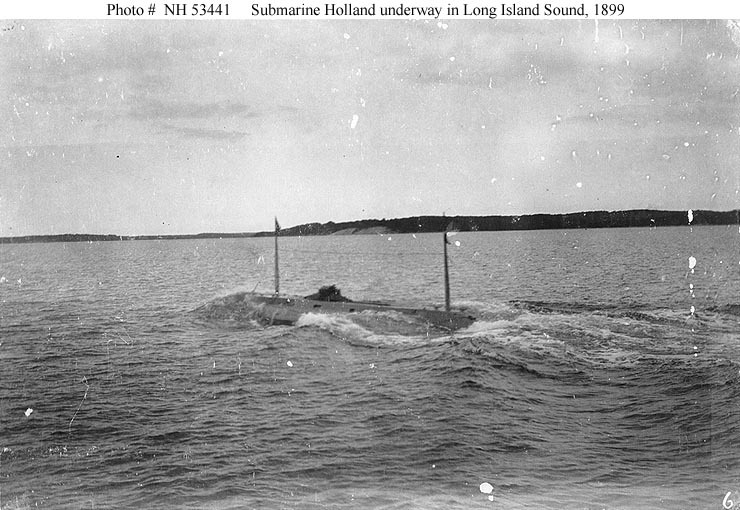 Underway while partially submerged in Long Island Sound, during trials in 1899. 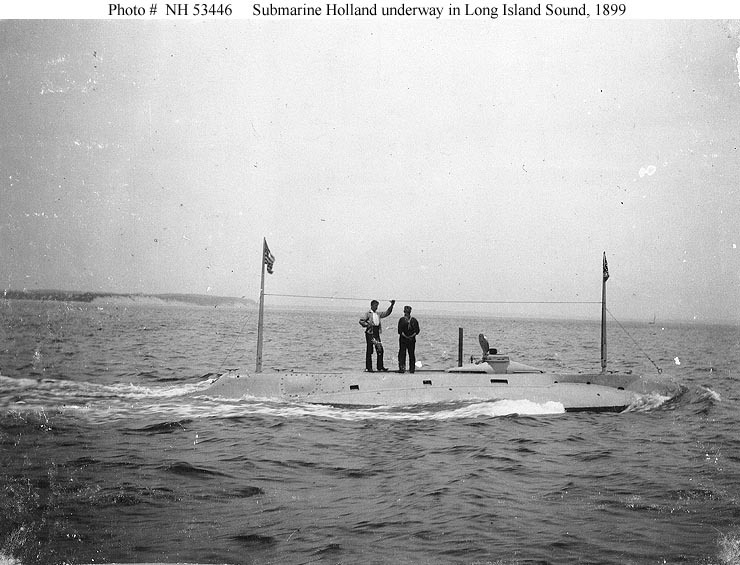 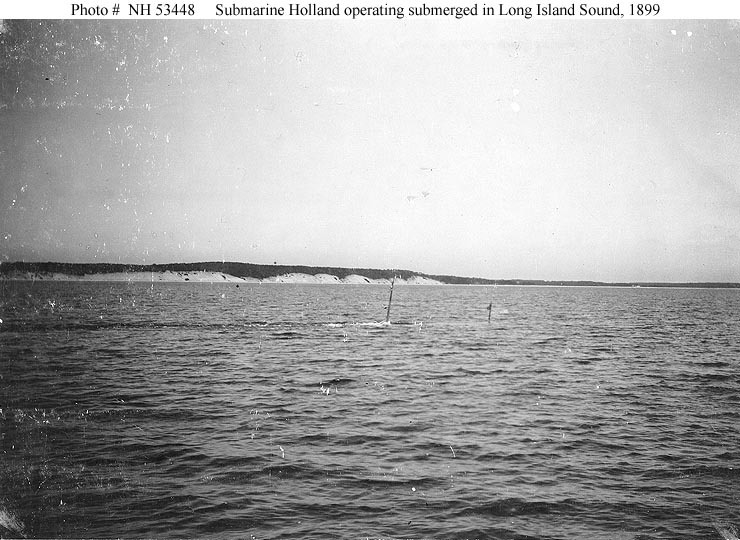 Operating submerged during trials in Long Island Sound, 1899. 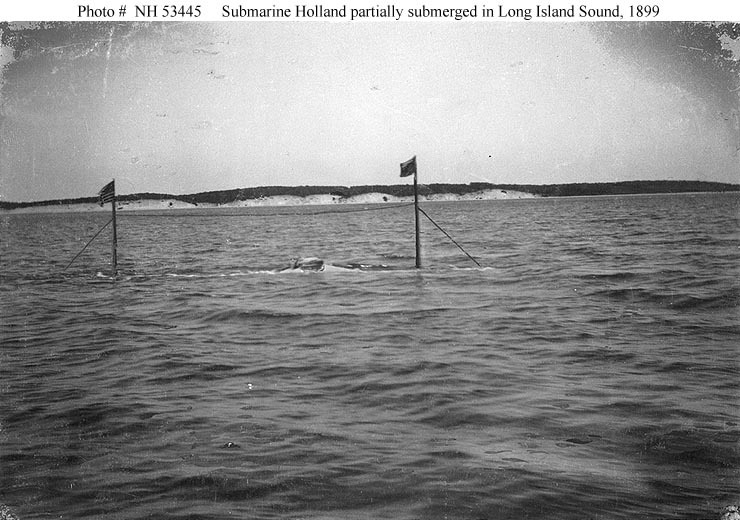 Submerged with only her masts and flags above the surface, while undergoing trials in Long Island Sound, 1899.